Everything about this home's style is very impressive. At first, it's place on the Toronto street seems very humble, but upon closer inspection, well, it blows away your expectations. 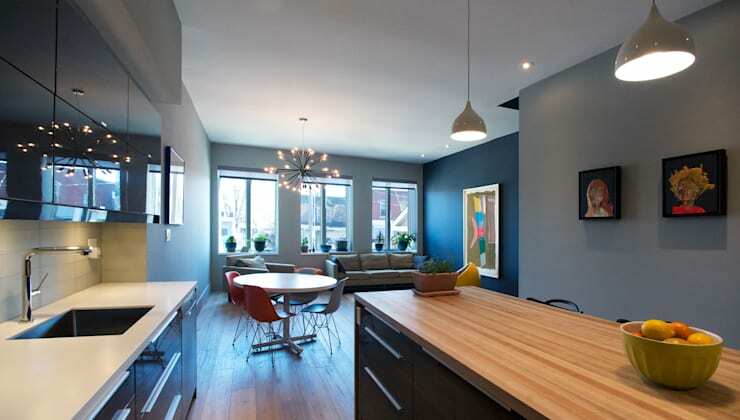 Who could have imagined an industrial style this colourful, this funky? Sometimes wild design like this, especially if its a little industrial, can see uncomfortable. But not this beauty, it's ready for some family chill time. 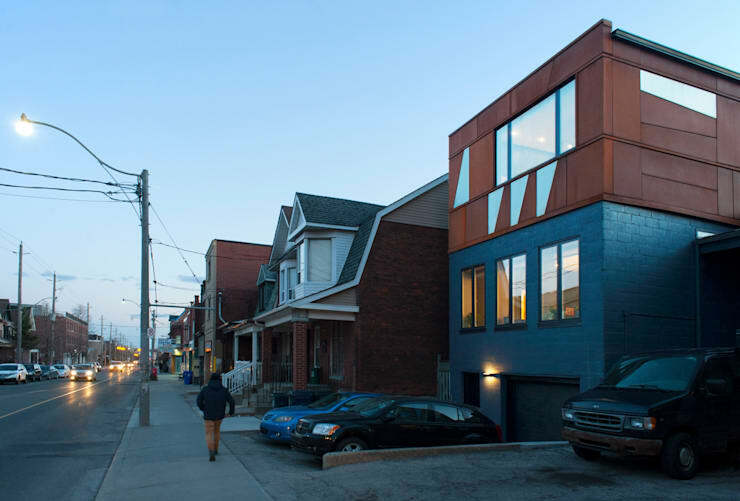 Of course, this ingenuity doesn't mean the architects, Solares Architecture, missed any of the big-city staples. The home is very eco-friendly, with a great deal of insulation and energy-efficient home systems. Attention was also paid to light, with a sky light, perfect triplet windows in the living room, and perfect little pot lights for that extra brightness. 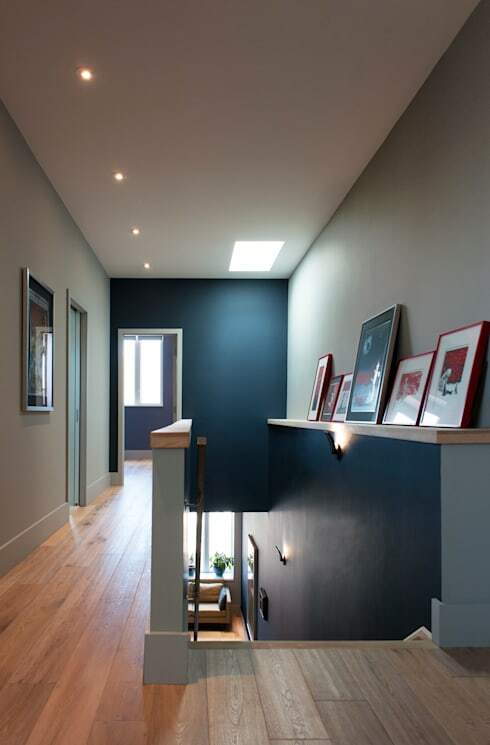 Most of all, we love how spacious this home feels, with its emphasis on long spaces. Don't know what we mean? The check out this home tour, and get ready to love long kitchens! 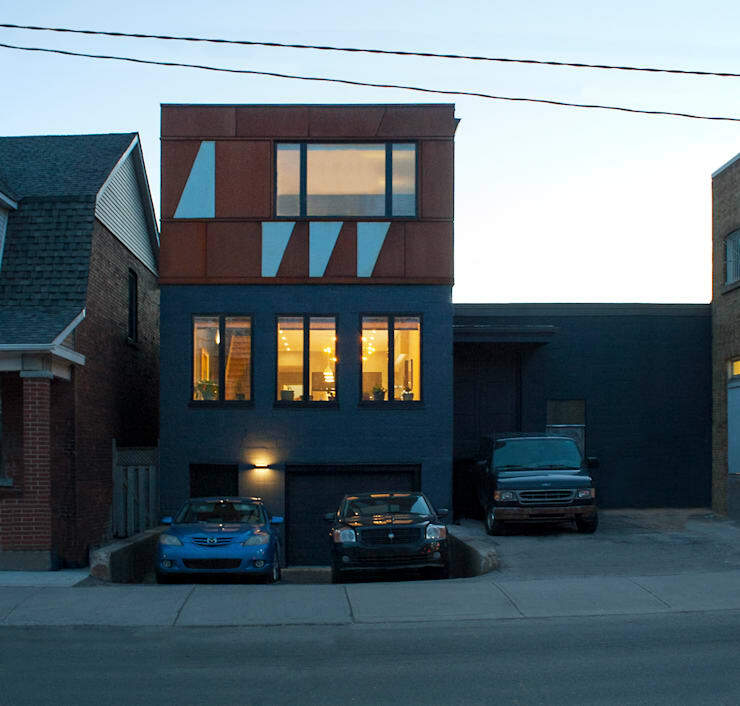 The colours of this home reflect the rest of the street, but their reversal is just one indication that this house is very different. From the square facade to the funky window shape, this home is modern and oh-so fresh. 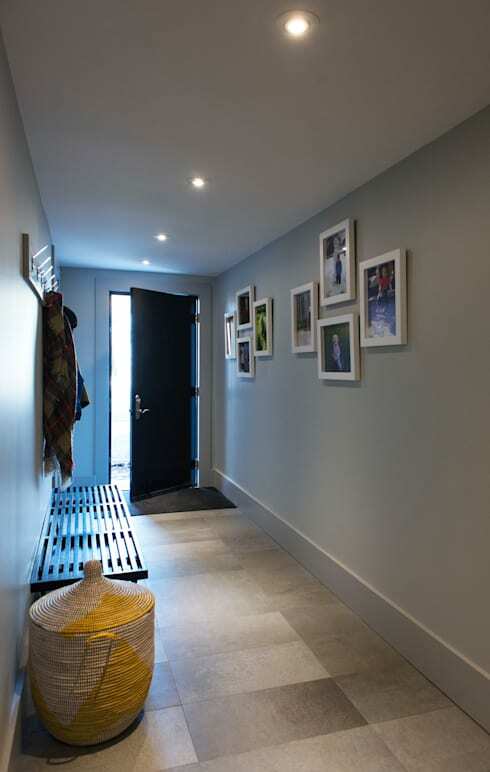 The long entryway is convenient for handling shoes and coats and gives the family a chance to display their favourite photos. 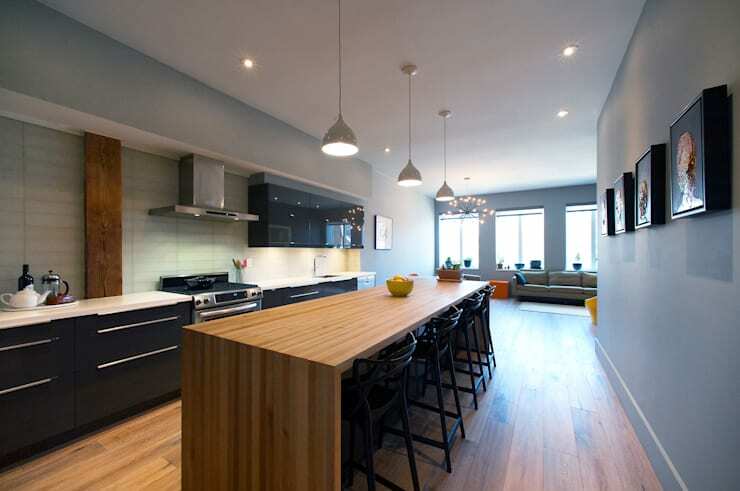 The emphasis on long spaces continues in this huge kitchen with a warm wooden island. Now that's an entertaining space. Have you noticed the metal finishes, pulling in the industrial style? Consider the cupboard handles, furniture feet, and light fixtures. 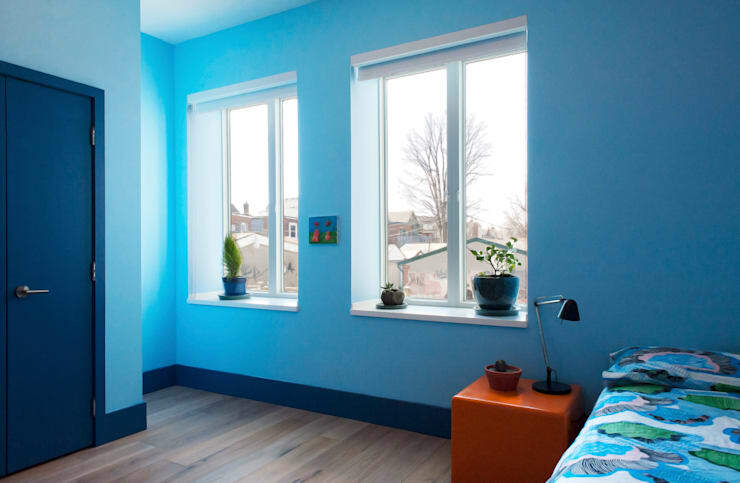 This first bedroom feels, at first, like a completely different space with even brighter colours. But look, on the outside an industrial feature is proudly displayed. 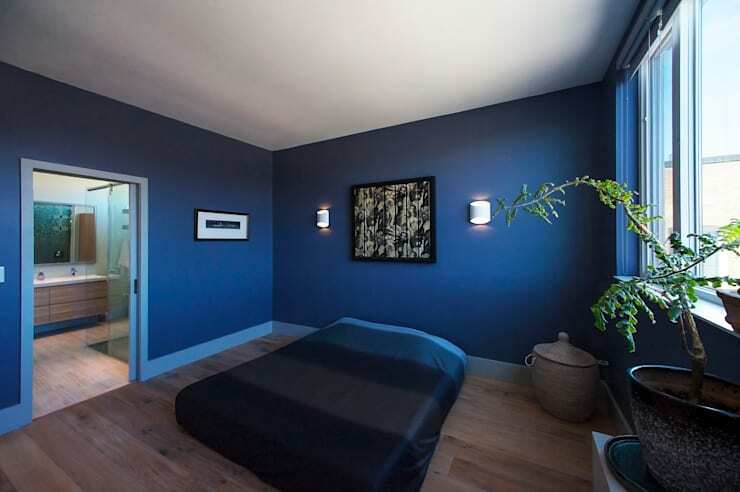 And, the blue of the walls is picked up in a darker blue on the bed and plant pot. The guest bedroom is darker, even earthy, to make for a more comfortable, but still modern, space. This shot of the living room really shows off the best of the home. It's colourful, fun, and full of light. The ceiling light is especially funky, and very industrial. 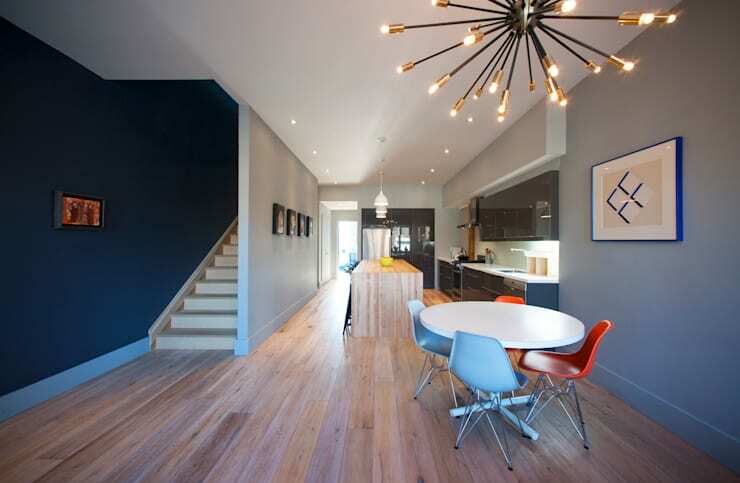 It's not until you turn towards the stairs that you realize how large this space is, especially for a Toronto home. The upper floor is more subdued, as befitting the more private space. The tiny pot lights are just perfect. 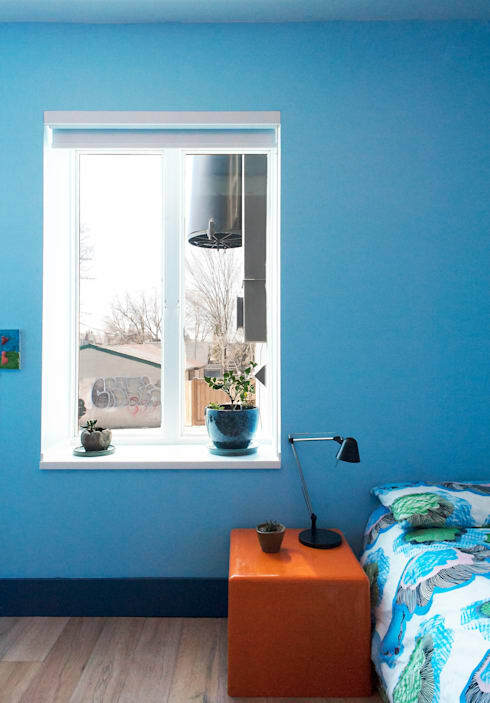 This sophisticated blue is made fun with lighter blue trim, and a matching bedspread. 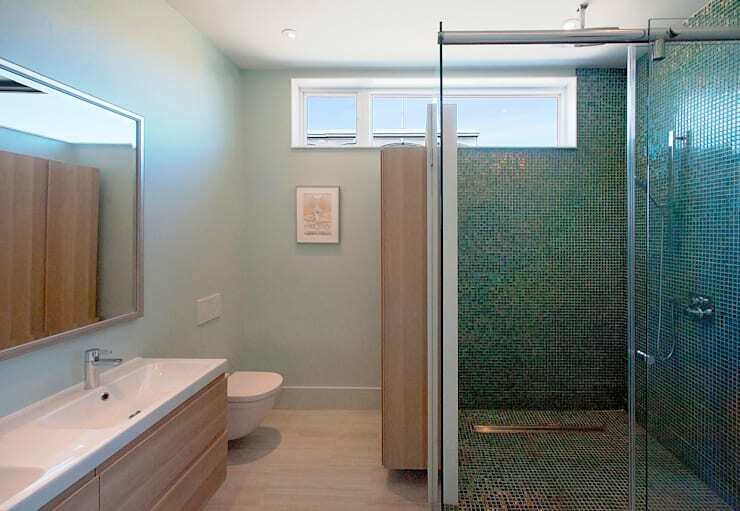 Tile in the master bathroom is shimmering and finely textured, a nice compliment for the smooth green walls. 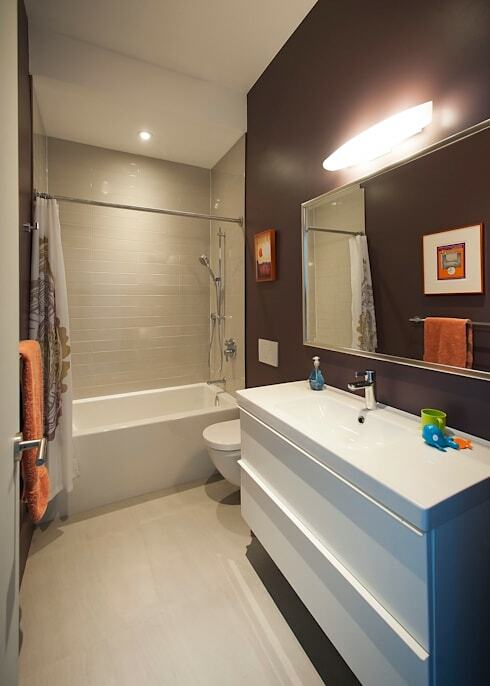 If you're thinking about bathroom designs, we've outlined six styles you will want to consider. Which one is your favourite room?